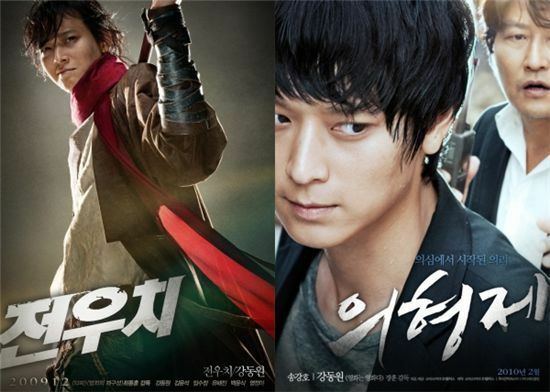 The Korean box office set a new record during the first half of 2010 with ticket sales hitting an all-time high, according to data by the Korean Film Council (KOFIC). KOFIC's official report on the local film industry, released Tuesday, stated that Korean moviegoers paid out approximately 547 billion won for theater tickets during the first six months of the year, up 14.6 percent from the same period last year. However, at nearly 70 million, the total number of viewers dropped by 3.9 percent, or 2.8 million persons, from the previous year. The sales jump despite the smaller number of audience appears to have been due to the increase in ticket sales, especially for 3D-film releases, most notably James Cameron's smash hit "Avatar". The month of January saw the biggest number of viewers, thanks to the dual success of "Avatar" and Korean fantasy action pic "JEON WOO CHI : The Taoist Wizard". The two films brought in over nine million moviegoers from around the country in January alone. Except for in February and June, domestic films trailed Hollywood pics in terms of their presence on the local box office. The total number of people who watched Korean films around the country clocked in at close to 30 million, down 7.3 percent from the previous year, but ticket sales were up 2.1 percent, thanks to higher ticket prices. The biggest commercial hit on the Korean box office during the first half turned out to be Hollywood 3D blockbuster "Avatar", which set several records in the country including the most-watched film of all-time and highest ticket sales (at 81.4 billion won). The most-watched Korean film during the period was "Secret Reunion" with 5.42 million moviegoers, followed by "JEON WOO CHI : The Taoist Wizard", "Harmony", "The Servant" and "The Housemaid - 2010". Half the top ten most-watched movies during the period were distributed by major media company CJ Entertainment. The upcoming movie line-up for the second half include Korean films "Moss", "I Saw the Devil", "The Man From Nowhere" as well as Hollywood pics "Shrek Forever After", "The Twilight Saga: Eclipse", "Inception" and "Salt". SS501 reveals music video for "Let Me Be The One"
Wonder Girls make Billboard chart again with "2DT"